Erin and Ashford discuss the season finale of season 2, the Bus Boy, written by Jerry Seinfeld and Larry David. Not meaning to, George causes the firing of a Bus Boy, hence the title. Feeling responsible for this unfortunate event, George tries to make up for it, only causing more grief for the character he is trying to appease. Meanwhile, Elaine is trying to get rid of her "nice guy" man friend. He was great for a weekend, but for a full blown week...a bit much. 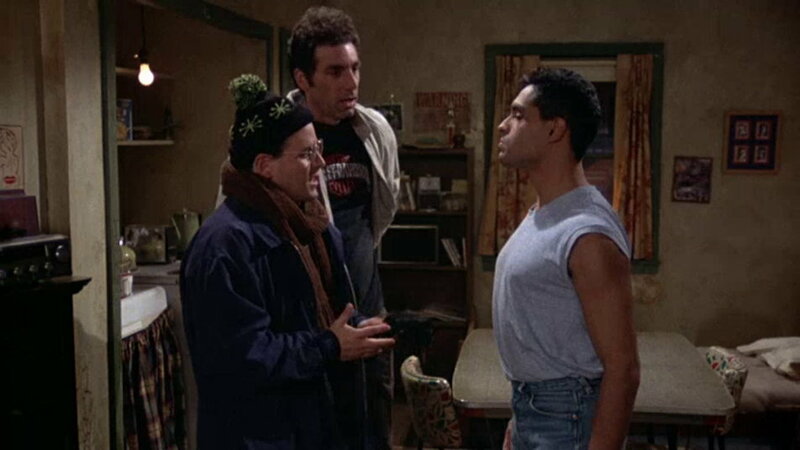 This is the episode where the Elaine character is given some material where she could display her chops. We gave this one a 2 out of 5 Superman Shields.